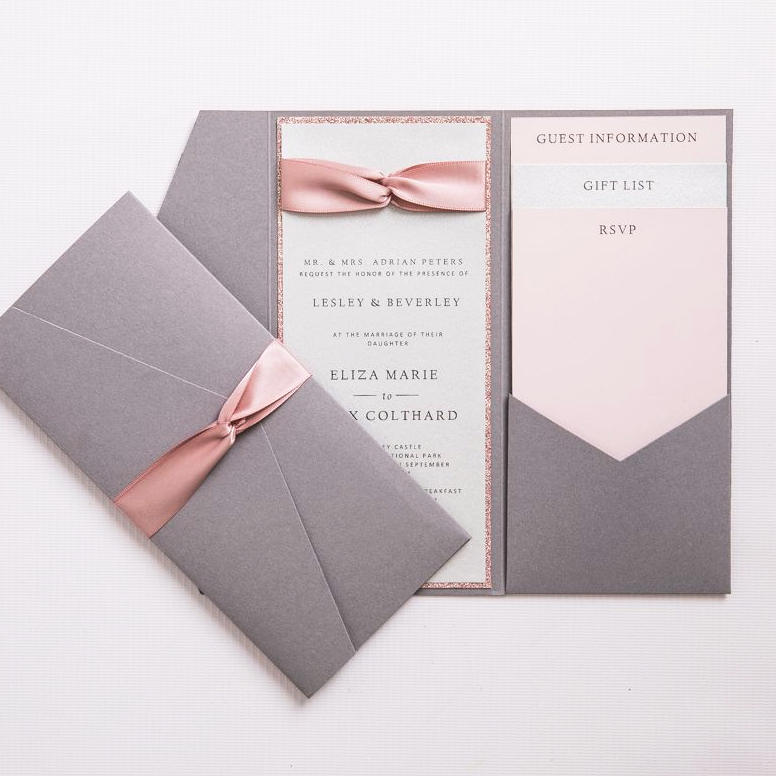 Calling all frill seekers - this is the invite for you. 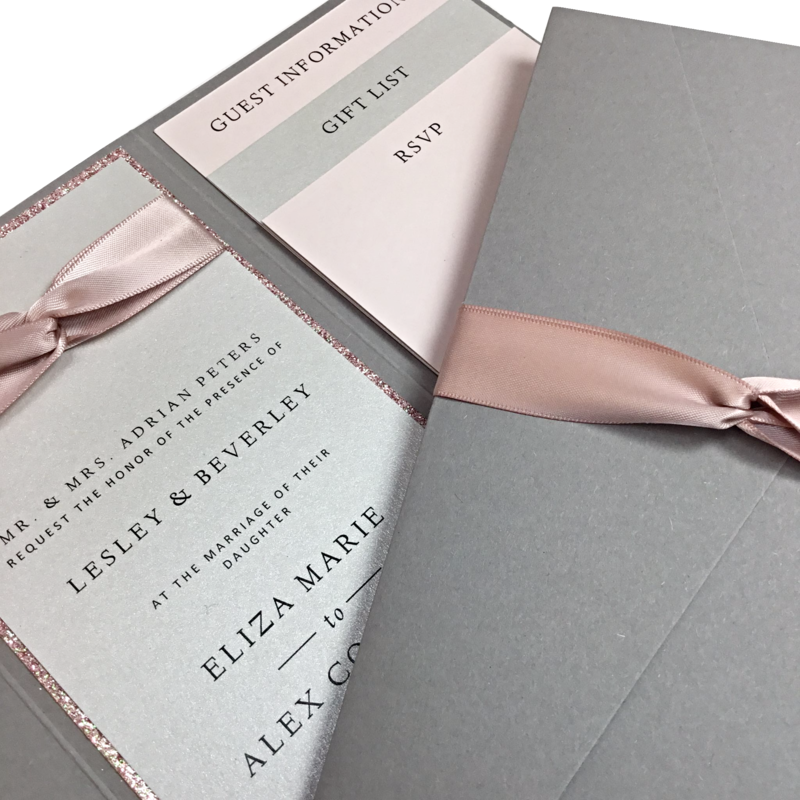 Soft pinks and greys and a dash of luxury too. Contact us though if this colour combo's not for you - we may be still able to help! 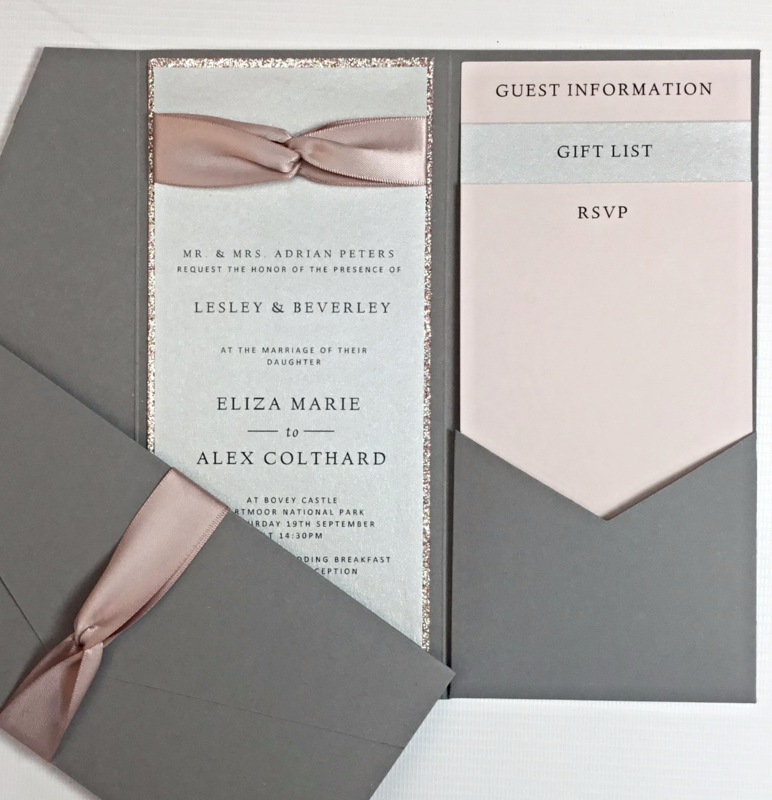 Alternatively, if you would like to make this stunning invitation yourself, we've made the process as easy as possible by listing all of the components to the right of your screen. Have fun! Wow. Wow. Wow! 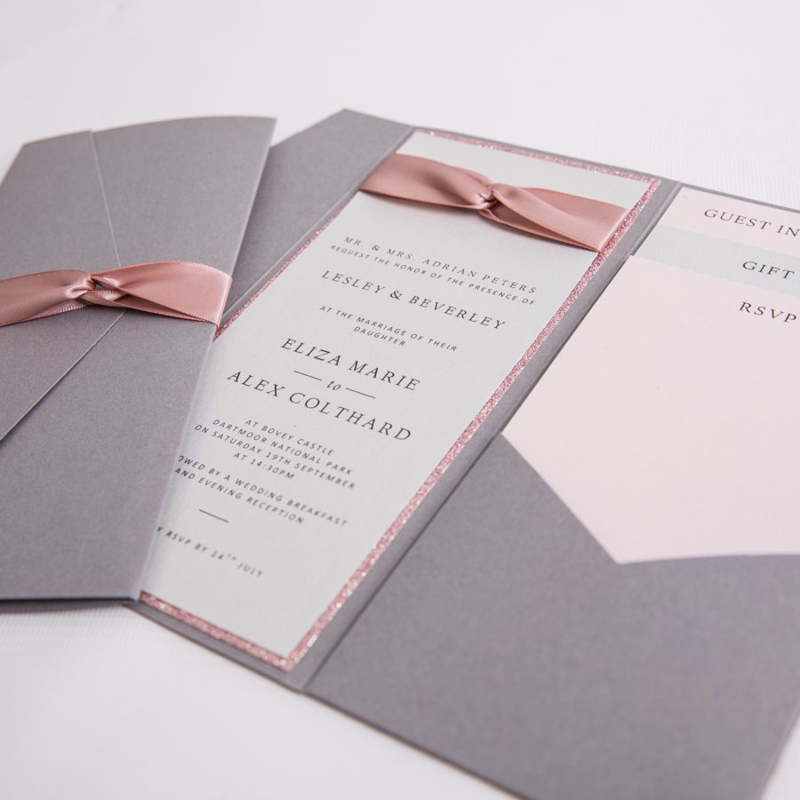 Ordered the Frill Seeker invite in custom colours and printed. 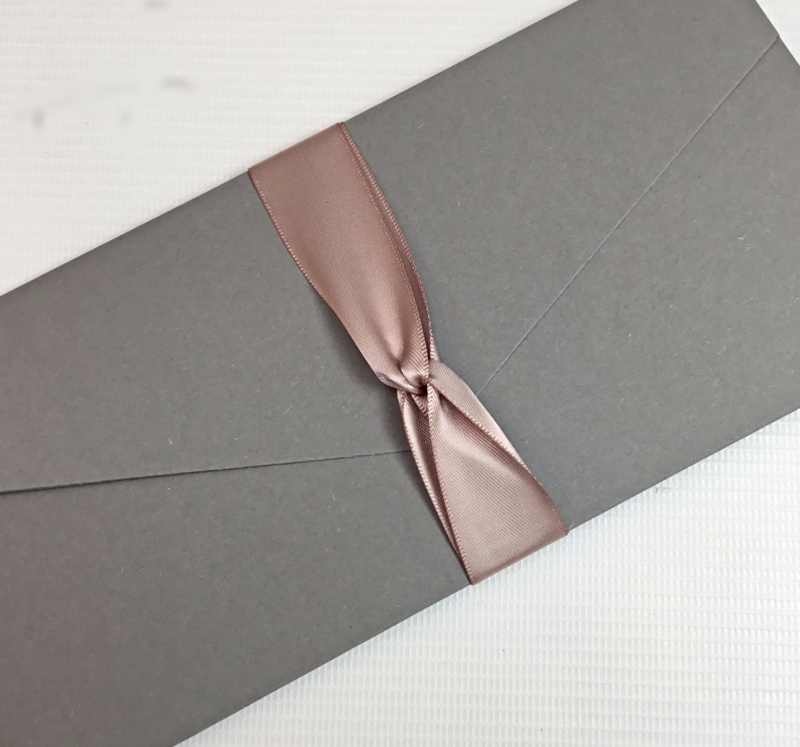 Was a fairly complex order with different styles and additional inserts being ordered as a proof for the full invites. Arrived in 1 day and looks absolutely amazing! The team are amazingly accommodating and their service is the best.